Office Furniture GB provides a great range of Low-Cost Office Storage Cupboards, including side opening tambour cupboards. 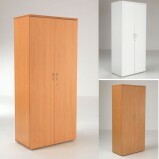 Our Cheap Storage Cupboard Range comes in a variety of sizes and finishes, including steel. Most have adjustable shelves and are lockable. 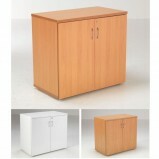 Contact Us for more information on our range of Low-Cost Office Storage Cupboards. 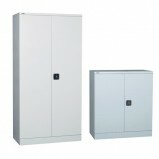 Steel Storage Cupboards Our range of low cost steel cupboards are ideal for any office storage requirements. They are strong and versatile. 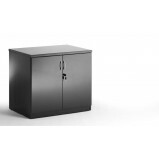 These steel storage cupboards offer an economical solution to today’s office storage and filin..
High Gloss Black Credenza Introducing a fantastic new range of quality boardroom furniture available with high gloss polished 25mm tops easy to assemble and in stock. An ideal match for your boardroom table. Features High gloss ..
High Gloss White Credenza Introducing a fantastic new range of quality boardroom furniture available with high gloss polished 25mm tops easy to assemble and in stock. An ideal match for your boardroom table. 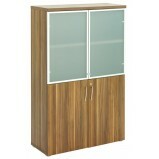 Features High gloss ..
TC Lite Desk Height Cupboard A great storage solution at a great price. 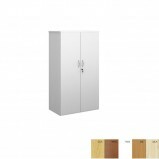 Do not compromise on quality Features Adjustable Shelf Beech Finish Chrome Handles Locking Options Beech, White or Oak MFC ..
TC Lite Tall Cupboard A great storage solution at a great price. Do not compromise on quality Features 4 Adjustable Shelves Beech Finish Chrome Handles Locking Options Beech, White or Oak MFC .. Maestro Storage Cupboard cupboards Offering versatile and practical storage solutions, our universal range will keep your office organised and looking neat and tidy. 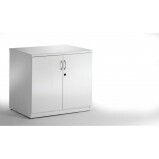 Staples for the modern office, cupboards and bookcases with their minim..
Regent Combination Storage UnitThe right furniture creates the right impression. The Regent Executive range offers desks, tables, pedestals, bookcases and cupboards, in tones of light and dark walnut, creating a stylish and inspiring atmosp..
Side Opening Tambour Cupboards These cupboards are the ideal solution for storage in areas where space is at a premium. Supplied fully assembled and available in a choice of 3 heights. 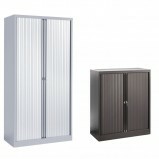 Two independent tambour shutter doors aid ..